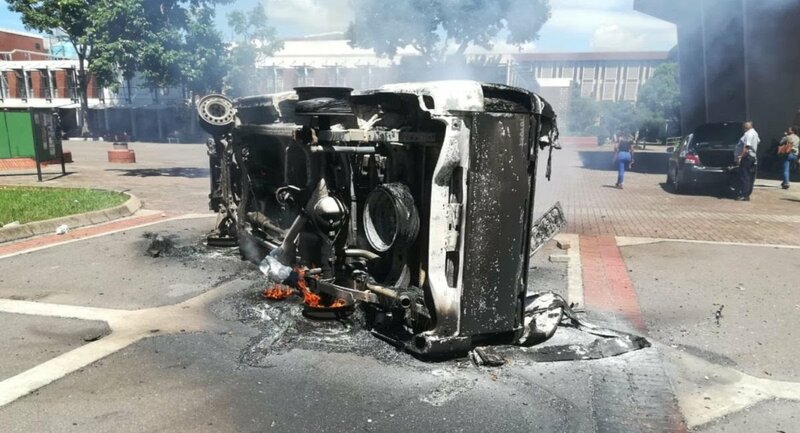 The University of KwaZulu-Natal (UKZN) has suspended its academic proceedings following a protests on Monday Morning. It is being reported that students are protesting over the National Student Financial Aid Scheme, fee increases and student accommodation. "The main issue is that students have not been cleared for registering. Some are still awaiting correspondence from the National Student Financial Aid Scheme (NSFAS)." The students have burned down a vehicle which was belonging to Risk Management Services. University of KwaZulu-Natal Westville campus kuyasha. KZN shut down continues. Students want the promised free education.